This article was first published in the Sunday Independent on the 30th May 2016, read the original article here. A 29pc increase in the amount Irish advertisers invested in digital during 2015 sent Ireland to the top of the European league when it comes to digital ad-spend growth. 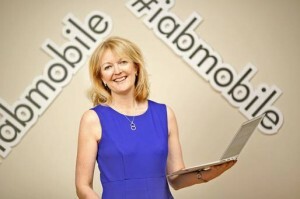 If the forecasts by the different media agencies are anything to go by, similar growth may be expected again this year, according to Suzanne McElligott, chief executive of IAB Ireland – the industry organisation that represents publishers, sales houses, ad tech companies as well as internet behemoths like Google, Facebook, Yahoo and Microsoft. “Last year Irish advertisers invested €340m in digital advertising and I don’t see this growth slowing down in the short-term,” says McElligott. “Digital is now the number one channel in Ireland and in the EU and it’s great to see that we achieved the highest growth rate in Europe last year. Although the market is becoming a lot more mature, I still think that there’s still lots of room for further growth over the next few years,” she adds. The most recent ad-spend figures, which are compiled by IAB Ireland and PwC, also highlight the key areas where growth is particularly strong with social media advertising up 72pc at €49m and video advertising up 71pc at €24.5m. Elsewhere display was up 38pc at €137m while native advertising increased by 33pc to €45m. Search, the largest component of online spend, still accounts for more than half of the total with €176m invested with the likes of Google last year, a 28pc increase on 2014. “As advertising spend follows users’ media consumption habits, media plans are designed to deliver a target audience and, given the onward acceleration of digital, it’s not surprising that these growth rates are being experienced,” she says. “In addition, the strong presence of companies like Google, Facebook, Twitter, LinkedIn and Microsoft has certainly driven the growth in digital ad-spend in the market and this rising tide has lifted all boats as the IAB’s agenda is based on all industry stakeholders collaborating on best-practice, research and training to assist brands to better understand the digital advertising opportunity. “This has made a real difference to the market, with the indigenous members of IAB experiencing very strong growth in digital ad revenues over the past few years,” says McElligott. As online media consumption continues to grow, however, the industry is far from immune to a number of serious challenges it currently faces, the biggest of which is arguably ad-blocking, a topic that keeps a lot IAB Ireland’s members awake at night. With ad-blocking on the rise and no signs of it abating, or even levelling off, a lot is riding on the success (or otherwise) of the industry’s response and its ability to tackle head-on why online consumers are using ad-blockers and how can they be converted back to the advertising-funded internet they abandoned in the first place. “Everyone is doing their best to deal with ad-blocking but it will take a co-ordinated response from all the different stakeholders to achieve it. We now have the likes of the World Federation of Advertisers reaching out to the IAB internationally to help deal with it as it’s a big concern to advertisers. We know a better job needs to be done and we are working on it,” she says. Three specific initiatives are under way through the IAB globally, she says. The first of these is called LEAN, which encourages advertisers and publishers to use of lighter, less invasive more user-friendly digital ad formats that will be created with the end-user in mind. By the end of 2016, IAB members will be scored and ranked based on their adherence to these new formats. The second initiative, called DEAL, assists publishers to detect ad-blocking and to reach out to the ad-blockers and explain the value exchange when it comes to accessing what is essentially an advertiser-funded internet. “Finally, the IAB Global Ad Charter, which is an IAB Europe initiative, is currently being signed off by IABs around the world at the moment and it encompasses both the LEAN and DEAL initiatives but also promotes frequency capping, minimising file sizes and minimising data calls to reduce time in page loads as well as refraining from the use of pops ups that obscure content,” says McElligott. While ad-blocking is the biggest issue facing the sector, the debate over ad viewability has also been simmering away in the background over the past 12 months. With mobile accounting for an increasingly bigger part of online engagements, this is could be a powder keg waiting to explode. “Again IAB is leading in cross industry solutions in this respect to ensure that national viewable impression measurement solutions are aligned across the EU and the rest of the world. Digital is a global channel and it is not tenable to have local market solutions,” she says. “The reality is that we are all digital consumers and recognise that things like creativity, the serving and placement of digital advertising needs to improve. “The very positive outcome from all of this is that already publishers are adapting their sites while media agencies and brands are focusing on things like creativity, frequency capping and ad placement. “Innovation is at the heart of digital’s recent success and I can guarantee that with the appetite for the new and innovative that is at the heart of digital that you will see the industry embrace new innovative solutions in this respect during 2016 and beyond. This is everybody’s problem and the reality is that everybody is also part of the solution,” she concludes.